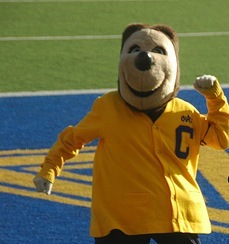 After last week’s inept play against UCLA , do you really wanna see some Cal football today? So what if they’ve lost four of the last five games? And so what if quarterback Zach Maynard – the same guy who threw a total of seven interceptions in their last two losses – will be starting again this week? And so what if it’s gonna be colder than a Stanford student’s heart in an Arctic winter? … Wow, these aren’t very encouraging words. How about this: The Bears are playing a team that is slightly worse than they are, meaning that you might actually witness a rare-ish win! And since you’ll already be across the bay, you can head on over to Stanford and cheer on the No. 23 Cal women’s soccer (fútbol) team as they attempt to bring down the No. 1 Cardinals and hand them their first loss of the season. today , Nov. 5, at 3:30 p.m. at AT&T Park in San Francisco. 7 p.m. at Laird Q. Cagan Stadium in Palo Alto.